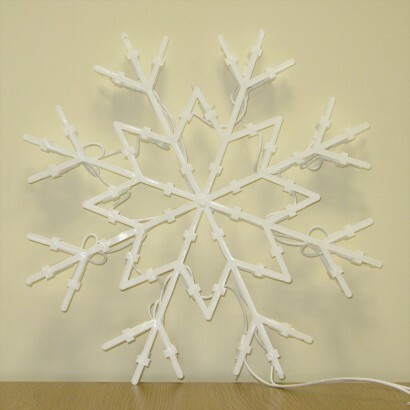 A battery operated festive illuminated snowflake silhouette, lit with energy efficient warm white LEDs for extra sparkle this Christmas. 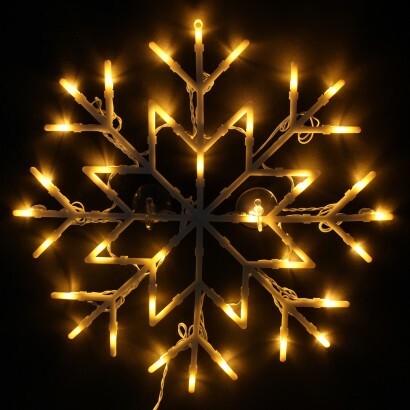 Suitable for indoor use only, these pretty snowflake lights look great in a window or perhaps on a tree. 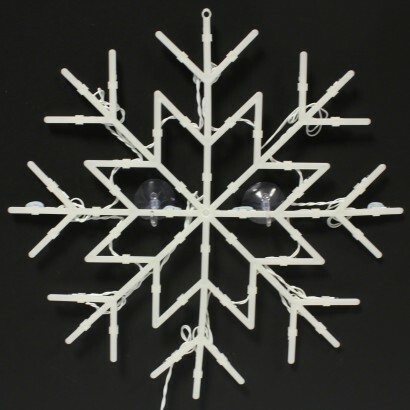 There is a small hole in the top of the snowflake for you to thread a wire or hang on a small nail etc, or could be simply stood up on a fireplace to create a beautiful Christmassy centrepiece. 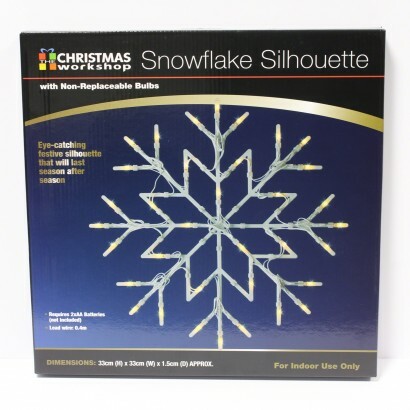 A very bright light, good size, comes with a hook and plastic suction cup so it can stick to a window. 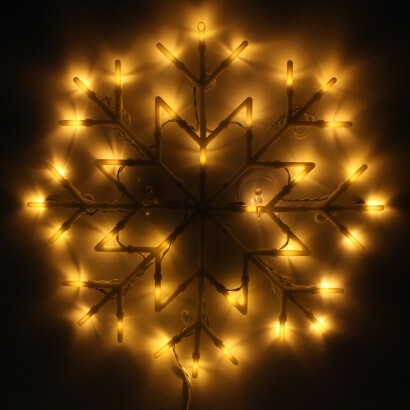 Lovely snowflake design that lights up my hallway with a Christmas glow. Very pleased with it!